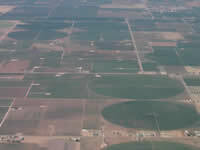 Aerial view of center pivot irrigation in southwestern Kansas. 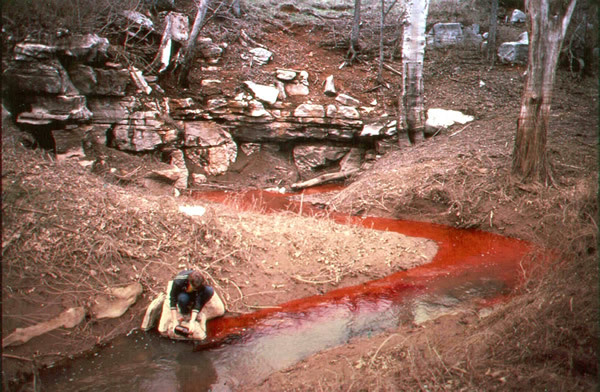 Rhodamine dye injected in stream to trace water movement through a karst aquifer. 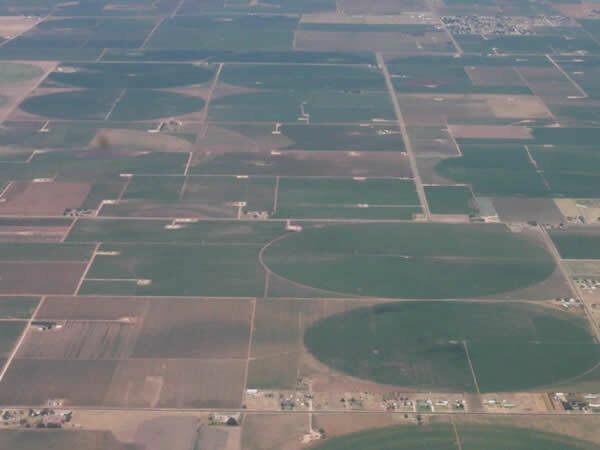 Aerial view of south Denver metropolitan area looking west towards the Front Range overlying the Denver Basin aquifers. 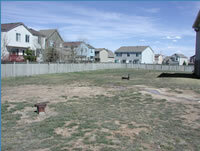 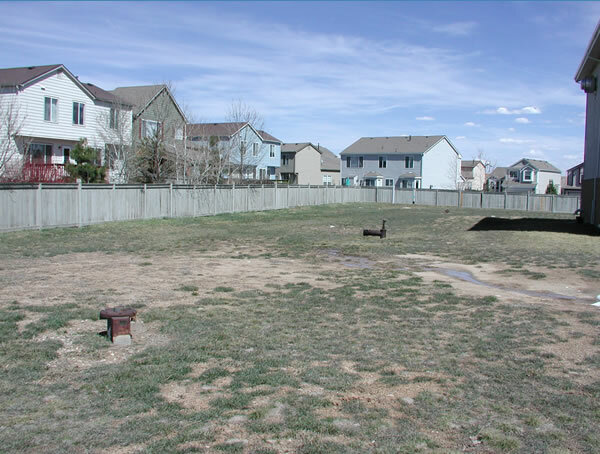 Denver Basin public-supply well in residential area of south Denver metropolitan area. Well is completed in Dawson aquifer. 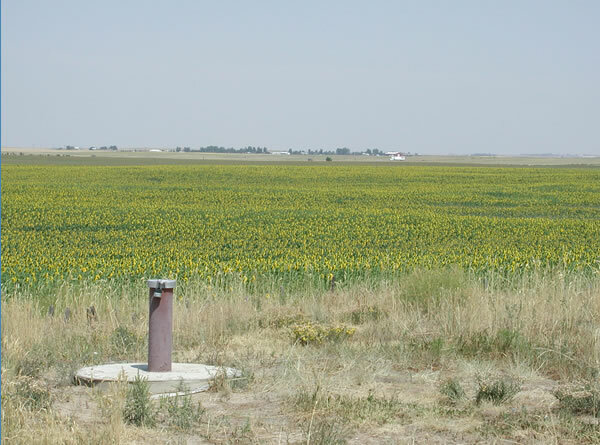 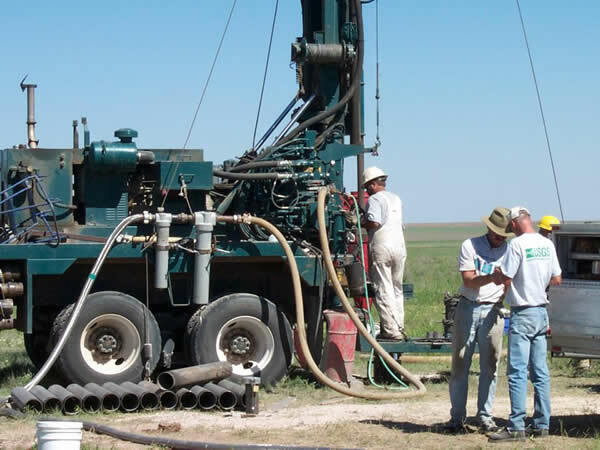 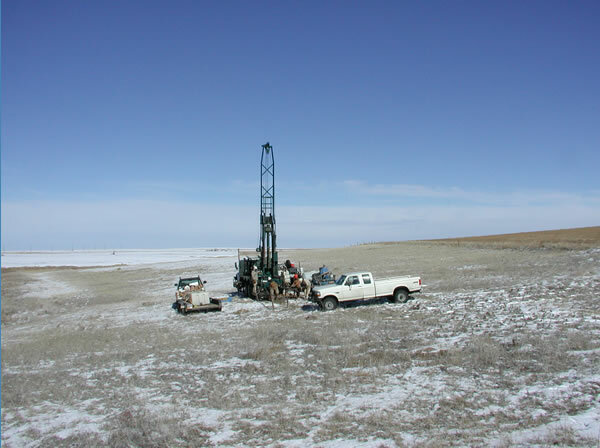 Monitoring well completed in Denver Formation east of Denver, Colorado. 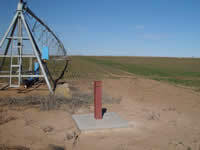 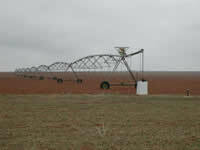 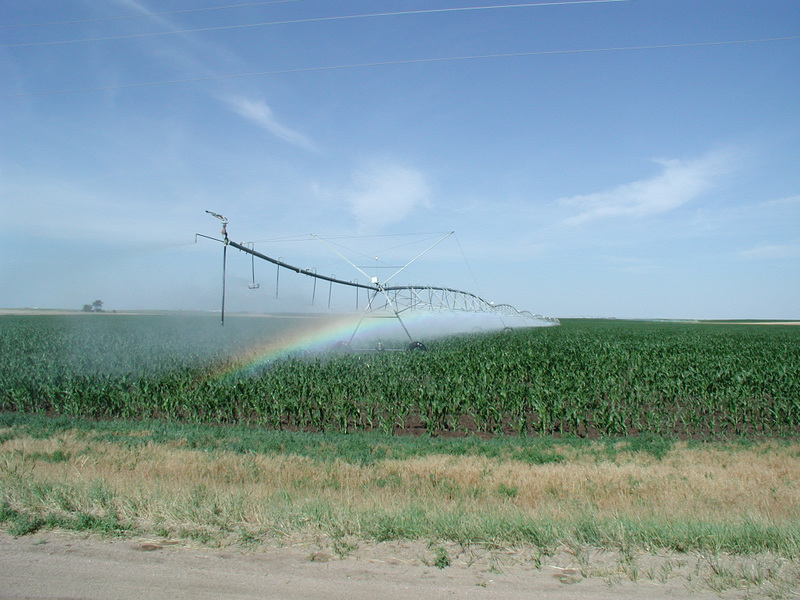 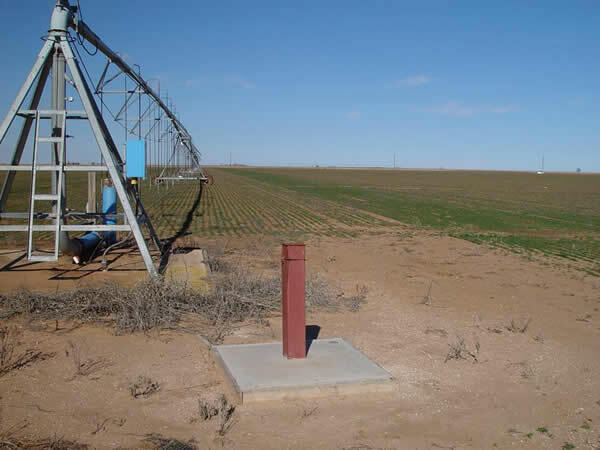 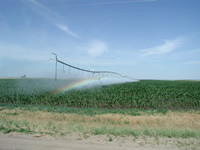 Monitoring well completed in the High Plains aquifer near a center pivot in the Panhandle of Texas. 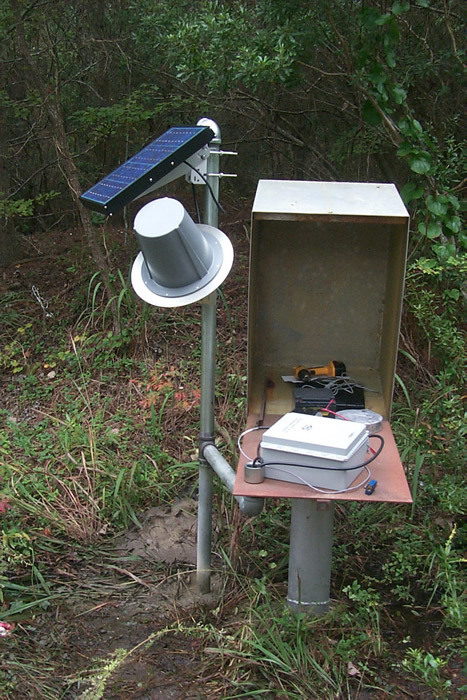 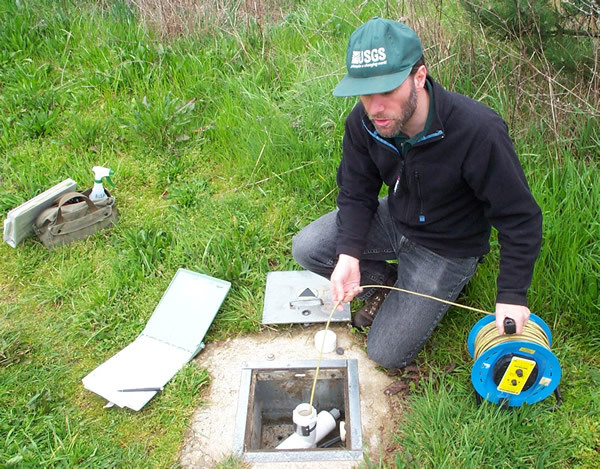 USGS personnel making ground-water level measurement.